So, it’s now the countdown to the release of The Anchoress in the United States. What a surreal thing to write! This is the jacket. If you’ve been to my website before, you might have noticed that the original design was a swallow, but the publishers have decided to go with the profile of a woman. I really like the simple, austere quality. It has been fascinating to watch publishers in four countries decide on the best design for a cover, and even though the UK and Australian covers feature a swallow, they create a different atmosphere, I think. I love the beautiful, shimmery Australian cover, and so many people comment on it. In one bookstore I visited, one of the shop assistants asked me to sign her copy, covered in plastic, so that it wouldn’t get scratched. How lovely! Sometimes, when people congratulate me on my beautiful novel, I think they’re referring to the cover as much as the contents! I gasped when I first saw the UK cover with red font, dripping slightly, creating a gothic atmosphere. The simplicity feels just right to me, as well. And now the US cover. I had been hesitant about featuring a woman on the cover because my anchoress is sealed away, in the dark. But this picture creates, for me, a feeling of a woman who has made a decision and is about to face its consequences. The beginning of her story. And the French cover: I’ve seen the early draft, and so I can’t say much except to say that I love it, and it’s very French! What is so exciting for me is to think that the words I’ve written have been represented in four quite different ways, though all of them beautiful. How good is that?! Thanks Di (and sorry to be so slow getting to this!). Yes, it does look good, doesn’t it? So interesting to think about the different markets and their preferences. Robyn this looks good but not as good as the one I have. I love it and have only lent it once – to someone very very special. I am looking forward to a re-read soon. Do you get to go to the States? Oh, thanks Pauline! So lovely to think of it being ‘special’. And no, I’m afraid I don’t get to go to the US. It will be interesting to see how it all goes there. Congratulations on your novel, good luck with the US launch, and thanks very much for the ‘like’ on Mantalini. You’ll no doubt be happy to know that ‘Come in Books’, one of Barcelona’s principal English bookshops, has a healthy stack of the British publication of ‘The Anchoress’ on their New Releases table. 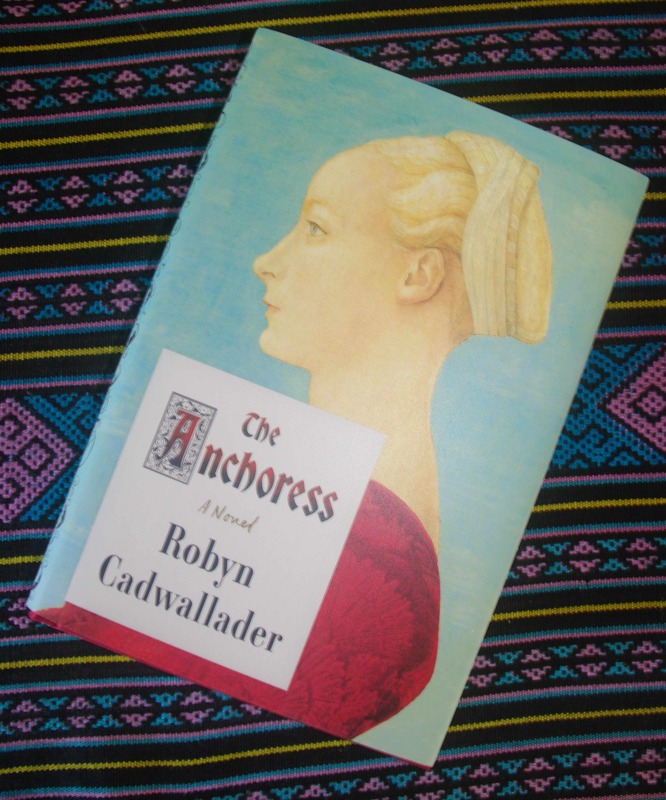 Thanks for the lovely review and the good wishes for The Anchoress in the US. Much appreciated. Excellent news to hear that The Anchoress is in Barcelona. It’s on my list of places I want to visit, but it looks like Sarah has beaten me to it! Good on her. Has The Anchoress been published in France? I have been watching for it and thought it was due out in May. Dear Elaine, I’m so sorry to have ignored your question! I’m still new at this blogging game, and somehow I didn’t find the admin page to reply to your comment. However, to answer your question: The Anchoress was released in France at the beginning of September as ‘Un Autre Idee du Silence’. I hope you can find it. There’s a photo of the gorgeous cover on my home page. Thanks so much for being in touch.